We are located right off Waxpool Road in Ashburn VA across the street from the Verizon Complex. Our suite is the corner end-cap that faces Waxpool Road. Upon arrival, please enter through Suite #102. 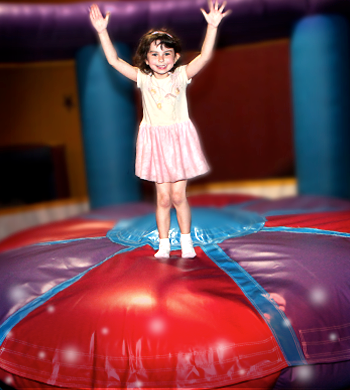 Pump It Up is the pioneer in birthday party and kid's entertainment. Founded in Pleasanton, California in 2000, it was an immediate success, allowing parents to host children’s parties in a private, safe, and clean environment. Due to its popularity, Pump It Up began franchising in 2002. 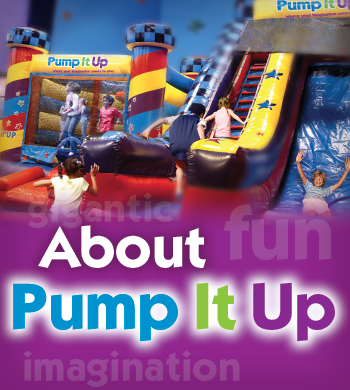 Pump It Up of Loudoun County opened it's doors on October 20, and 2007. Ever since we have been hosting Private Children's Birthday Parties and Events for Ashburn, Sterling, Leesburg, Fairfax, Reston, Dulles & Purcellville parents and enjoying every minute! We pride ourselves in Safety and Cleanliness, as well as Super Star service to all our guests.